First: I was 14 years old. My mother had a client who ran a dry cleaner and offered to let me work at her off site facility. SWEET! MONEY! On a summer day (please note the grotesque humidity) in Florida my mother’s client picked me up in her big white laundry van. She drove me a few miles from my house and directed me towards a warehouse-like structure. She opened the large gate and there inside was a musty, dingy, laundry facility. She introduced me to my co-workers (undocumented workers from Mexico) and told me that I was to pick through the dirty clothes for any loose items. OH JOY! She left me there in the warehouse. I found a seat on the shag carpet of the office and dumped out a bag of uniforms (I think it was some military garb of sorts). Telemundo blasted in the back and I opened every pocket of every shirt and looked for items. My fingernails became imbedded with crumbs and dirt. Sweat dripped from my brow. I sat silently and picked for 6 hours. My mother’s client picked me up, drove me home, and dropped me at my front door. Need less to say, I did not go back to the laundry facility. 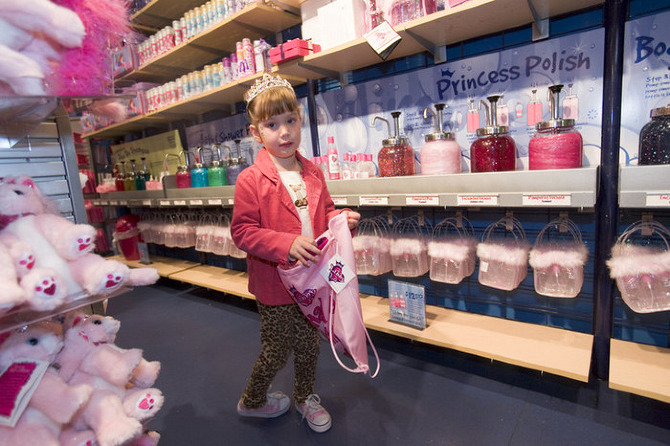 In the year 2005 Nordstorm opened a sub-franchise of retail stores just for girls. Club Libby Lu was bright pink and purple and filled with glitter. There was an actual “glitter bar” where you could mix your own glitter. Being the leader I am, the head manager of the new store saw something in me. She saw potential. She saw a grand future ahead of me. She made me assistant manager. WHAT AN HONOR! As assistant manager I had the very important responsibility of running birthday parties. This entailed: doing girls hair, putting make up on 7-year-olds, leading the chicken dance, piercing ears, making glitter shampoo, and lip syncing to Lizzie McGuire. I HAD MADE IT…for four months. I have worked for some great bosses, some mediocre bosses, and some of the worst people on the planet. I have met some amazing friends through jobs but at the end of the day, each position I have held whether it be through my career or a job, has never left me unsatisfied. It is not within my DNA to work for someone else. I need to make my own rules, decide how to manage my time, and use my passion to fuel my actions. The laundromat, McDonalds, Chick Fil A, Apple, Club Libby Lu, Cheeburger Cheeburger, Piercing Pagoda, Mullins Park, Grains of Olde, Supercuts, Spa, Laundry Mat, Perkins, Wet Seal, Urban Outfitters, substitute teacher, after school programs, non profit outreach, teaching… these were each steps toward finding out what I am meant to do. I am meant to be a CEO of a company that changes the lives of girls, and I am doin’ it! Those girls don’t even realize yet how fortunate they are to be a part of your vision Annie! You WILL change their lives in remarkable ways. There is no prescribed time to find our way in the world. How exciting that you have found your’s and are doing it!